By accident, we discovered a hummingbird's nest 7 feet high up a tree in our backyard. The momma bird sits quietly and patiently on her eggs waiting for them to hatch. She was not distracted by her duty as life passed below her. 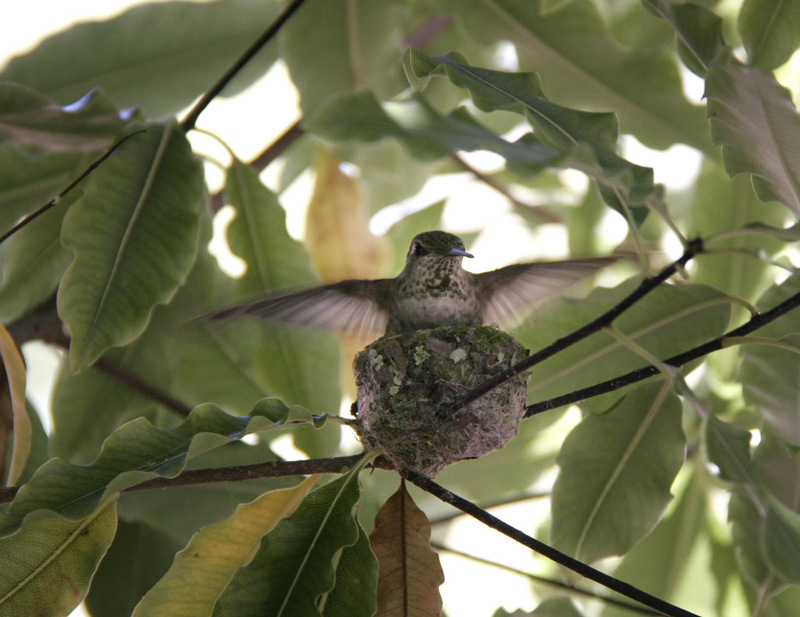 The tiny nest sits in the center of 4 branches. I was afraid a strong wind would topple it to the ground, but momma has more experience than me in building nests. Catching momma coming in for a landing. 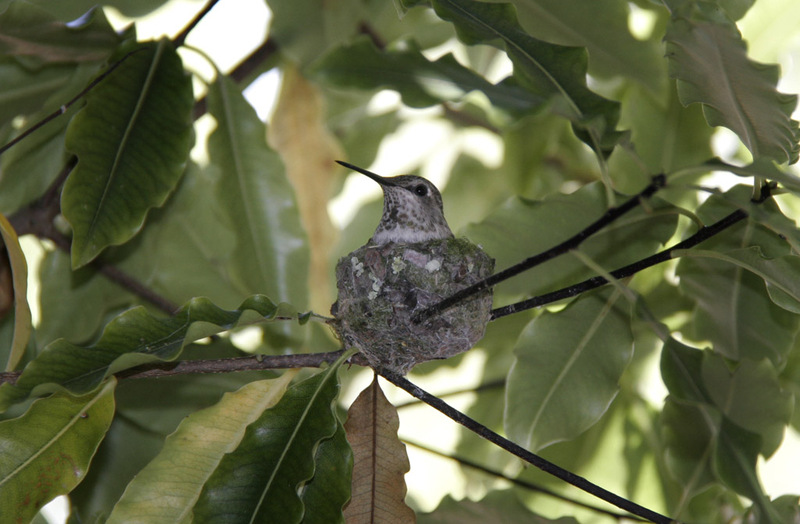 When momma flew away momentarily to visit with other hummingbirds, my husband got on a ladder to see what surprise was inside the nest. We hope to see 2 baby birds soon. 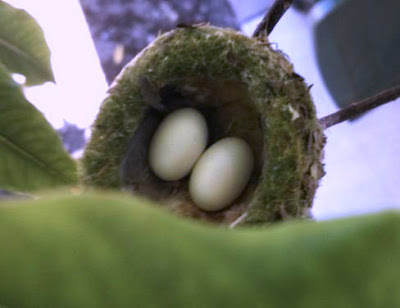 To read a multi-part story about baby bird births, visit rainfield61's posts. oh wow, gorgeous shot of the hummingbird up there, and hope you will be able to capture the babies also, it must be a joy to be chosen by a hummingbird to nest in your backyard. betchai: I guess we are fortunate to have this happen right in our yard. Don't have to travel far to see nature in action. They must be very cute. great sequence of shots. i look forward to seeing those baby birds too. I haven't seen a hummingbird yet. It looks different from other birds. You're lucky to have discovered its nest. Beautiful and vivid shots. Wonderful pictures! I really love hummingbirds. You got every kind of picture I like with a bird. Absolutely wonderful! Our housemartins are back so I will be keeping a close watch and yes, camera poised!